October 4, 2010 - Six international freight forwarders have agreed to plead guilty and to pay criminal fines totaling $50.27 million for their roles in several conspiracies to fix a variety of fees and charges in connection with the provision of freight forwarding services for international air cargo shipments. These are the first charges filed as a result of the department’s antitrust investigation of the freight forwarding industry. According to charges filed separately on Thursday in U.S. District Court for the District of Columbia, six companies engaged in one or more separate conspiracies to impose certain charges or fees on customers purchasing international freight forwarding services for cargo freight destined for air shipment to the United States during various periods between 2002 and 2007. The six companies are EGL Inc., (Houston-based) Kühne Nagel International AG, (Switzerland) Geologistics International Management (Bermuda) Panalpina World Transport (Switzerland), Schenker AG, (Germany) and BAX Global Inc.(Ohio). Under the plea agreements, which are subject to court approval, the six companies have agreed to pay the following criminal fines: EGL, $4,486,120; K+N, $9,865,044; Geologistics, $687,960; Panalpina, $11,947,845; Schenker, $3,535,514; and BAX Global, $19,745,927. Each company has also agreed to cooperate with the department’s ongoing antitrust investigation. 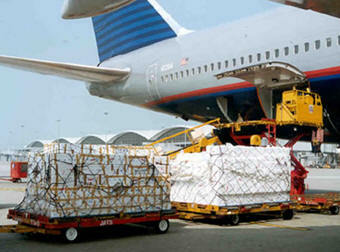 Freight forwarders manage the domestic and international delivery of cargo for customers by receiving, packaging, preparing and warehousing cargo freight, arranging for cargo shipment through transportation providers such as air carriers and steamship lines, preparing shipment documentation, and providing related ancillary services. - A conspiracy that took place from August 2005 to December 2007, to impose a Peak Season Surcharge (PSS) on shipments from Hong Kong to the United States, in which K+N, Panalpina, Schenker, BAX and others participated. Each company is charged with price fixing in violation of the Sherman Act, which carries a maximum fine of $100 million per offense for corporations. The maximum fine may be increased to twice the gain derived from the crime or twice the loss suffered by the victims of the crime, if either of those amounts is greater than the statutory maximum fine. Charges are the result of a joint investigation into the freight forwarding industry being conducted by the Antitrust Division’s National Criminal Enforcement Section, the FBI’s Washington Field Office and the Department of Commerce’s Office of Inspector General.